If it's pink we would love to include it is our 'Shades of Pink' floral arrangement. 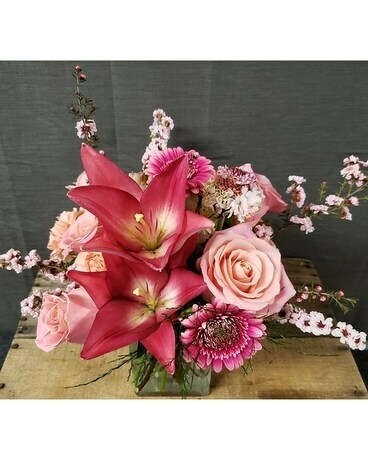 Pink asiatic lilies, gerbera daisy, roses, carnations,and seasonally available scabiosa blooms and leptospernum. If you want it pink we can do a wonderful job of pink for your special person.